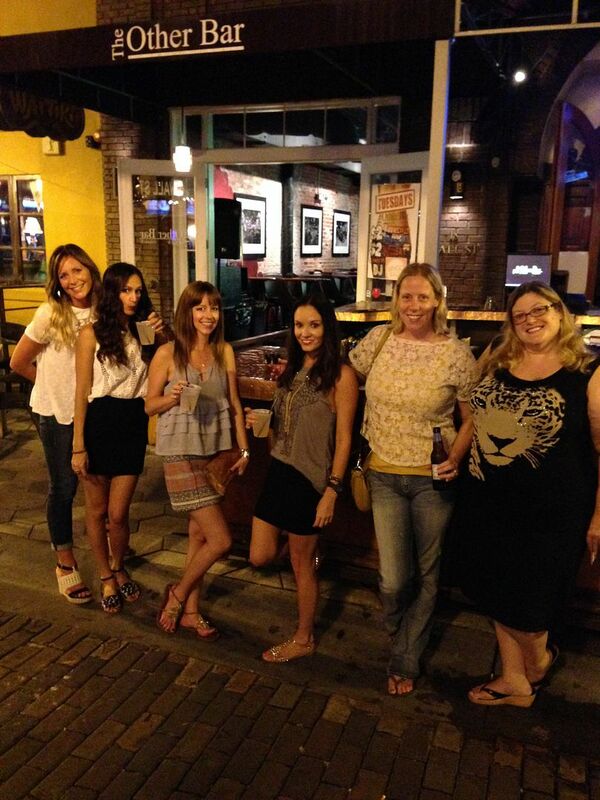 On Friday night I met up with these lovely ladies after work for a bit of a late happy hour/early night out. Most of us all worked together at one point so it was nice to catch up and see what everyone is up to! One of the girls moved to London (yes, I'm beyond jealous of her life) and was in town on vacation so it was definitely awesome getting to catch up with her! Definitely still learning how to style my newly darker and MUCH shorter hair so try not to judge! It still looks long but 5 inches is quite a big difference for me. Of course no night out is complete without funfetti pudding shots... although that is usually the beginning of the end of the night. I left not long after that last picture was taken and it's probably a good thing! Saturday morning was spent cleaning, watching the UCF game and getting ready for the UF tailgate. The UCF game was pretty disappointing but Mizzou is pretty good so I'm trying not to be too disappointed about it! After the UCF loss we headed up to Gainesville to watch UF take on UK and more importantly meet up with two of my favorite blogging ladies, Amanda and Biana. Trust me, both of these ladies are just as funny, gorgeous and sweet in person as they are in the blogging world! We set up our own little tailgate in a lot a few blocks away from the stadium and were lucky enough to find a shady spot. In the words of Biana, it was literally as hot as hell out there and that's no exaggeration! I'm definitely a little jealous of everyone up north getting cooler temperatures because 95 degrees and sunny in mid September is not as fun as you'd think. Needless to say, the hair ended going up literally seconds after this picture and I still think I managed to sweat out at least 3 lbs just sitting around. 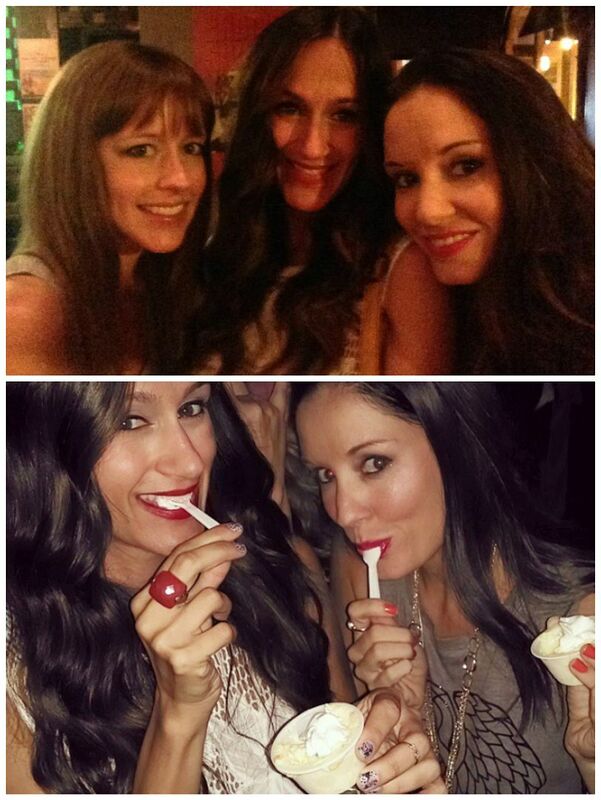 I had an absolute blast getting to hang out with these ladies and I already can't wait to do it again! B... you need to move to Florida! You'll get used to the heat again! :) The game ended up being one of the craziest games I've ever been to. 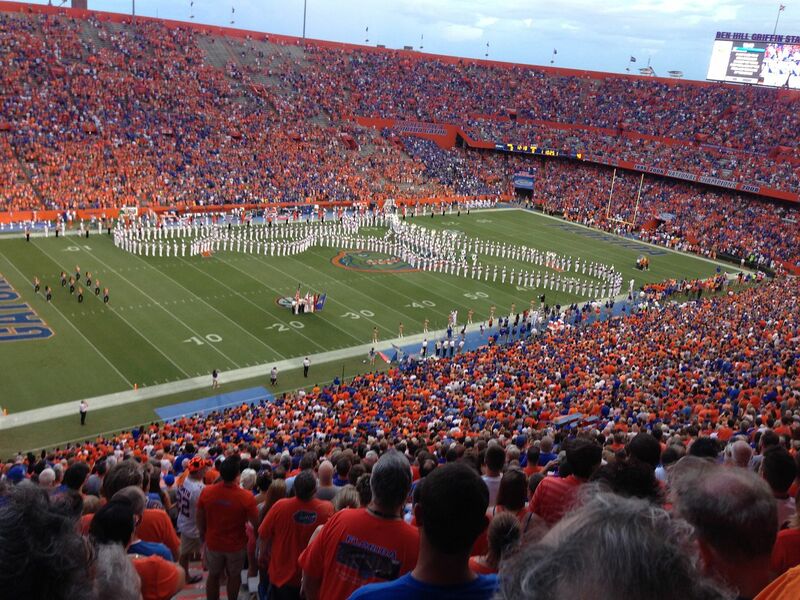 4 overtimes later the Gators finally managed to pull out the win! I was seriously starting to think the game would never end! Since Saturday night was such a late night Sunday was spent relaxing on the couch, watching football and snacking on buffalo chicken dip. Oh yeah, and napping. There were definitely cat naps happening. I also tried the new Blue Moon fall seasonal pack. I've only tried the Cinnamon Horchata Ale so far but it's pretty interesting. It pretty much tastes like a cinnamon roll in a bottle. How was everyone's weekends? 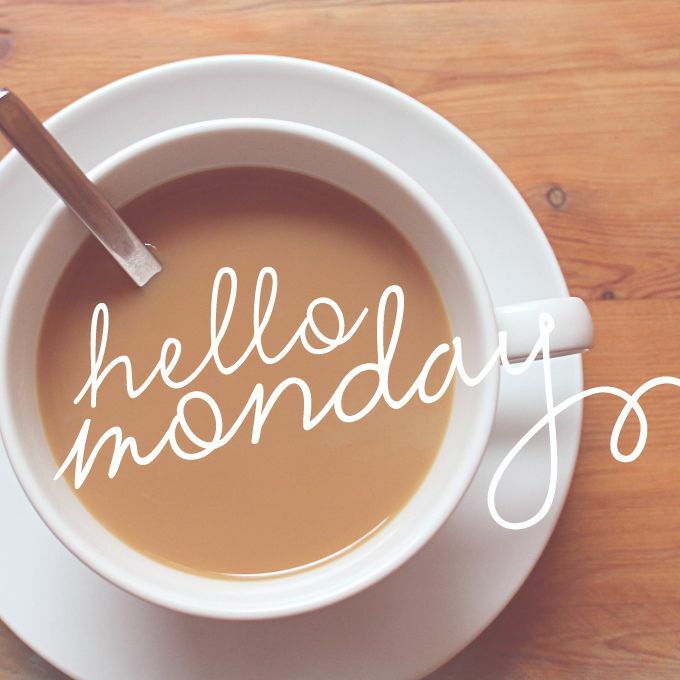 Hope you dolls have an amazing week!! What a fun meet up!! Looks like your weekend was a blast! I haven’t tried that Blue Moon yet! May need to pick that up. So jeal of y’alls meet up! Glad you had a great weekend! Love all your pictures! so glad florida beat UK lol. looks like you guys had such a blast, and i demand to be invited next time! i love how short you are - you CAN wear wedges whenever you want! and i love the shorter hair and it always takes me ages to get used to a hair cut even if its 1 inch or 10 inches! It looks like you had such a fun weekend! So jealous you got to hang with those ladies at the game!! Am I weird that I didn't think it was that hot on Saturday? Maybe it was because I spent the day in the pool, but I remember getting chilly lol. 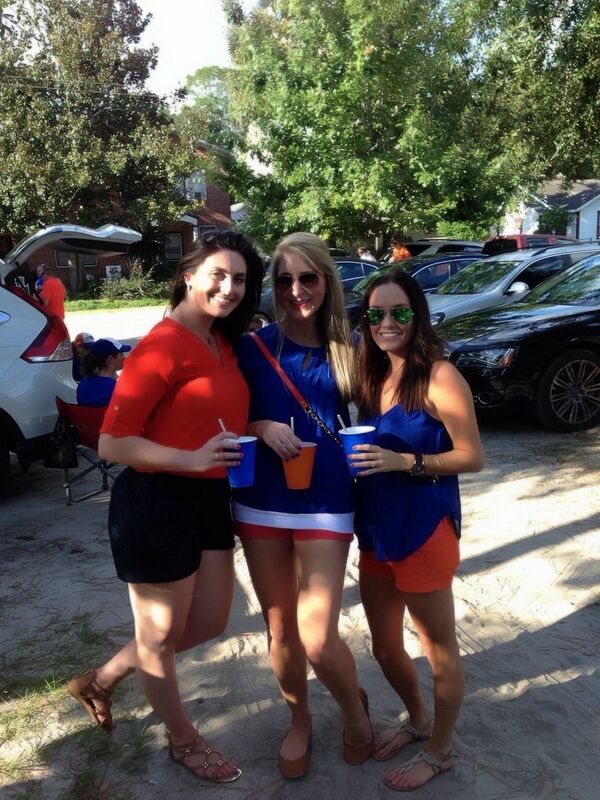 Super jealous of your tailgating blate, looks like you girls had a blast! You had such a full weekend! No wonder you could sleep through today (although I'm sure we all could). I'm loving your new hair -- you'll get used to it in no time! Glad you guys had a blast minus the heat! I can't believe you're wearing orange and blue!!! It looks like you had such a great weekend! So fun you got to hang out with Amanda and Biana! Also, I loove your short hair! Awww love that yall met each other! I love that someone else had buffalo chicken dip this weekend. I woke up Sunday morning and HAD to have it. Seriously... what a PERFECT weekend! Getting together with bloggers is my fave! Your weekend looked like so much fun! Love that you guys had a blogger tailgate! Looks like such a fun weekend despite the sweltering heat! I always love to see my fave bloggers hanging out together! Such a cute blogger meetup! You girls looked gorgeous! What a fun weekend!! I don't know how you stay outside watching football in that heat. I could never. Way too hot for me. You hair looks fantastic!! How fun that you got to hang out with Biana and Amanda at the game - looks like you girls had a blast! What a fun weekend! Love your gators outfits! 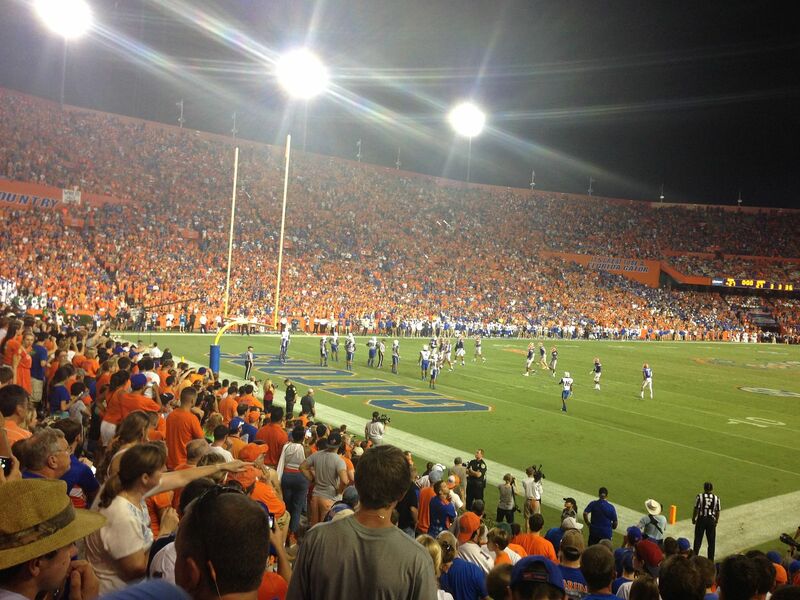 The game and tailgating looks like a blast. uga lost too. it was so ridiculous that i am still in denial ;) so glad you got to meet up with B and A!!! love them! I love your meet up! So fun! You girls need to come to Charleston! OMG...you are so cute and tiny I could just hold you in my pocket! I 2nd Ally's comment above that a Charleston meeting is in order...it's sorta central to FL and Boston, right? :-) Glad you had an awesome weekend! Sounds like a great weekend!! You ladies definitely looked like you had a great time! Don't feel bad, I'm totally short too, need heels everywhere! Sad sad UCF game but I agree Mizzou is pretty good soooooo... there's that. My Sunday was pretty much an exact replica of yours. lol It's too hot in Central Florida to even walk my dogs. Sounds like such a fun weekend! Wow five inches is a lot of hair! It still looks so long though, and I love the length. I could use a cut. I ALWAYS feel like my hairdresser cut off my whole head of hair even if she just takes an inch off haha. I'm so happy to say hello to fall since I was pretty sick of sweating just by standing in place haha. Give me my boots and snuggly sweaters :D. Looks like your weekend was so fun though! Sounds like a super fun, action packed weekend! So cool that you got to meet a couple blogging girls - yay! What a fun time! 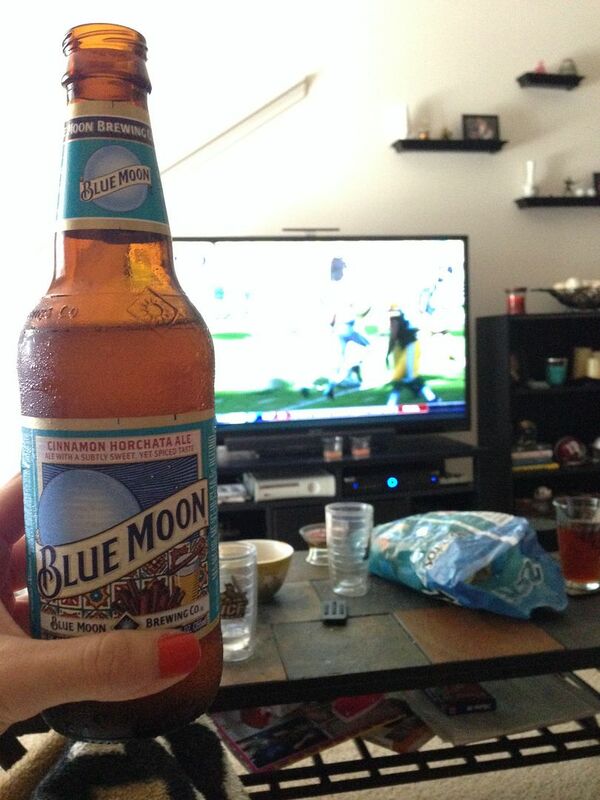 :) That Blue Moon looks so good. I have been on a total beer kick lately! Looks like such a fun weekend! I want to try that beer now! Aw 3 of my faves together - jealous but you look so cute! And yay for a win. I'm on the lookout for that beer now! I think it'd be perfect with a side of bacon!? you three bloggers are. so. cute!!!! i love your little meetup - SO jealous!! Looks like you had such a great weekend! And love your outfit for the game -- adorable! perfect blogger meetup, too! xo! 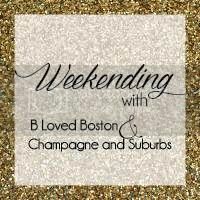 Sounds like such an amazing weekend! You girls are all too cute--and I am LOVING your new hair (which by the way is still sooo long hehe) You are styling it great!! Such a fun looking weekend as always! Love football season! Sounds like a super fun weekend~I don't blame you for wanton to sleep through Monday! Looks like you ladies had a blast-football season is the best time of year! 5 inches is a HUGE difference... I don't even like to TRIM mine! 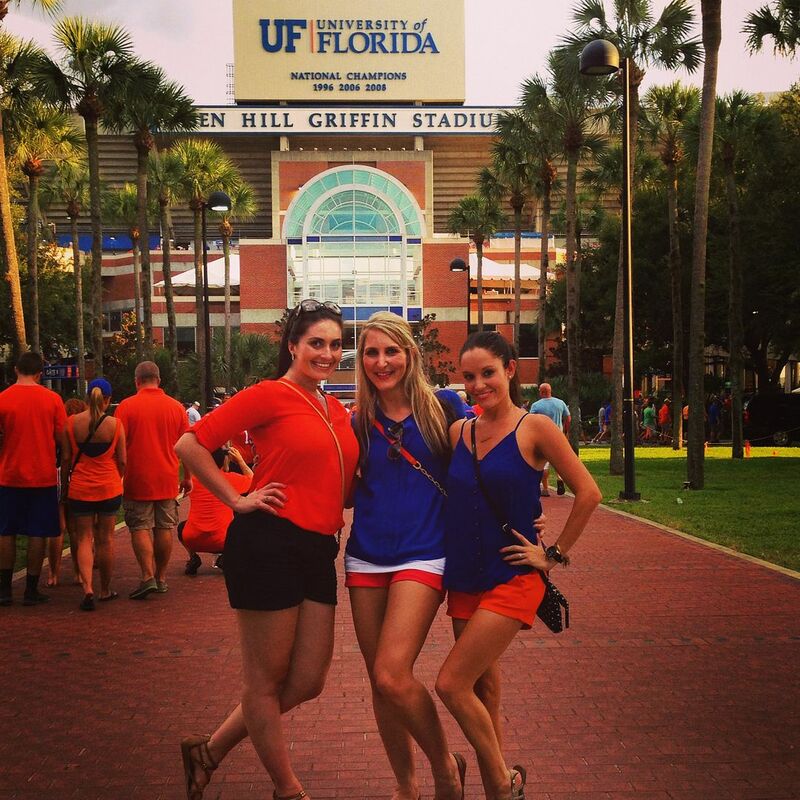 Jealous you met these ladies and at a Gator game- how perfect! !